The University of Georgia is a member of ENIC-NARIC (ENIC – European Network of Information Centers in the European Region, NARIC – National Academic Information Centers in the European Union). The network is an initiative of the European Commission. The network aims at improving academic recognition of diplomas and periods of study in the Member States of the European Union (EU) countries, the European Economic Area (EEA) countries and Turkey. The network is part of the Community's Lifelong Learning Programme (LLP), which stimulates the mobility of students and staff between higher education institutions in these countries. The higher education system in Turkey is supervised by the Council of Higher Education (CoHE). The CoHE is an autonomous institution which is responsible for the planning, coordination and governance of higher education system in Turkey in accordance with the Turkish Constitution and the Higher Education Laws. The University of Georgia has acquired the CoHE (YOK) accreditation in 2015. According to CoHE, Recognition of a higher education institutions is defined in the Regulations for Recognition and Equivalence of Foreign Higher Education Diplomas as "the recognition of the relevant university as an institution authorized to issue diplomas primarily by the competent authorities of the country in which it operates, being accredited by accreditation or quality assurance institutions, and being recognized by the CoHE". The Medical Council of India was established in 1934 under the Indian Medical Council Act, 1933, now repealed, with the main function of establishing uniform standards of higher qualifications in medicine and recognition of medical qualifications in India and abroad. The objectives of the Council are as follows: Maintenance of uniform standards of medical education, both undergraduate and postgraduate, Recommendation for recognition/de-recognition of medical qualifications of medical institutions of India or foreign countries, Permanent registration/provisional registration of doctors with recognized medical qualifications, Reciprocity with foreign countries in the matter of mutual recognition of medical qualifications. The University of Georgia has just recently gained the accreditation – Medical Council of India (MCI), which means that the University of Georgia is listed among the foreign universities recommended by the Medical Council of India. On October 2, 2017, the University of Georgia received an official accreditation by the Ministry of Science, Research and Technology of the Islamic Republic of Iran. 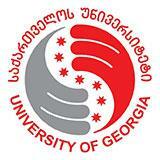 The University of Georgia is listed on the official website of the Ministry of Foreign Affairs of Georgia among other Universities as the only private university that has acquired this accreditation. The University of Georgia has received Group D accreditation, which means that the Iranian state recognizes all specialty and program diploma in bachelor's specialty in health care.